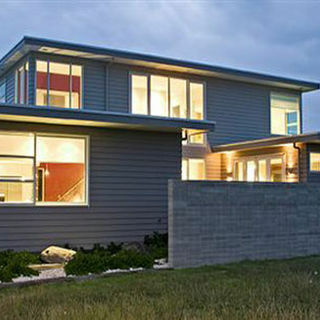 AVAILABLE FOR TWO MONTHS FROM EARLY AUGUST AND THIS SUMMER FOR CHRISTMAS & NEW YEAR. 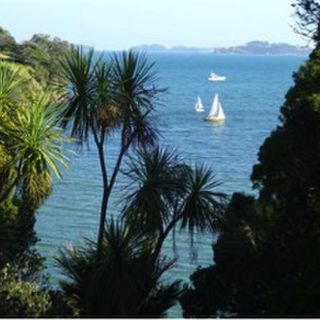 Fancy all the fun and flair of Matakana Village but still want to be beside the sea? Pets are allowed in side with their own beds. Brand new to Clevedon, south of Auckland, Springcurl Lodge offers private rooms with ensuites, continental or cooked breakfasts and BBQ dinners on request. 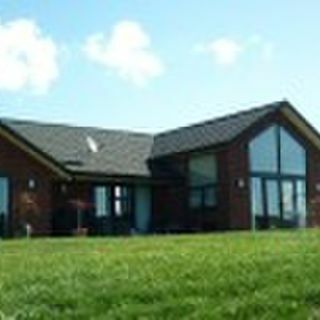 We have one self contained cottage where pets can be inside as long as the owners bring their own pet bedding. 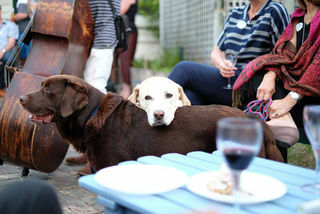 Pets are welcome at The Great Ponsonby Arthotel, a delightful bed and breakfast, just a short stroll to Ponsonby's vibrant cafés, restaurants, galleries, shops and nightlife or a short taxi ride to the harbour and city centre. Dogs are welcome inside provided they bring their own beds. Wed like to introduce you to our Pet-Stay Rooms. We have designed and furnished a selection of our hotel rooms exclusively for you and your pets to stay in. Jet Park Hotel is located just 5 minutes from Auckland Airport. Proudly NZ owned, we are specialists in caring for our guests, with outstanding service, facilities and great value, quality accommodation. 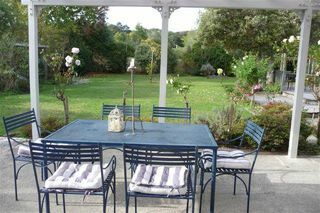 HISTORICAL BUNGALOW RIGHT IN MAGICAL MATAKANA VILLAGE complete with SPA POOL and fully furnished down to the coffee maker. 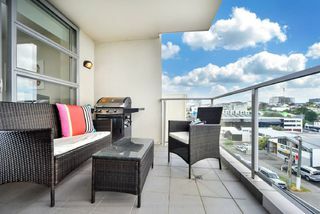 Only 45 mins from the harbour bridge - walk to the movies, shops, cafes, school & jetty. 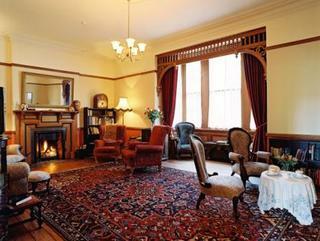 Braemar on Parliament Street is the only late Victorian townhouse in the Auckland Central Business District still used as a residence. Built in 1901, it has been lovingly restored but with the addition of up to the minute technology for comfort and convenience. 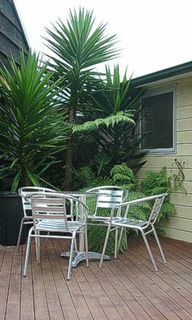 Fernhill Cottages offer quality, fully furnished & self-catering accommodation to new arrival immigrants, holiday makers, people on business trips, in the sought after area of Coatesville/Albany, on the North Shore of Auckland. 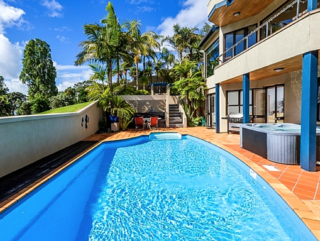 Paradise is only 40 minutes from Auckland CBD and airport. 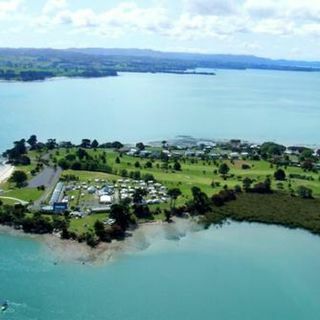 Clarks Beach Holiday Park is a beautiful spacious family camp on the shores of Manukau Harbour with panoramic views of the adjacent golf course and beach. 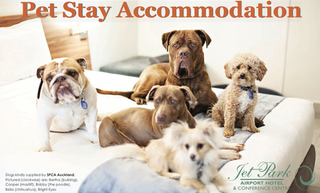 Pet friendly for short stays only by prior arrangement. Pets are welcome in guests motorhomes and camping sites, subject to availability but we do not allow pets in accommodation or communal facilities. 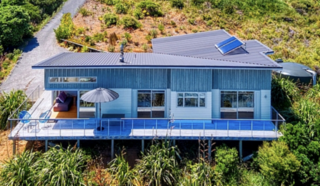 Oceans 12 is a 4 bedroom modern Omaha holiday home that gives you your slice of paradise, including a patrolled surf beach, tennis courts, golf course only 2 minutes away and the enjoyment of waking each morning to the sound of the sea. Pets allowed outside only.